In the latest issue of Richmond Magazine, hot off the presses, “Texas Beach” from Richmond Noir is reprinted in its entirety with some terrific illustrations by Barry Bruner.Â They can be seen at his blog here.Â Run right out and buy 5 copies to give all your friends or perfect strangers.Â Or the next time you’re getting a root canal or waiting for an eye exam, remember I’m probably in the pile of magazines in the waiting room.Â Skip the People.Â Read some noir. Tiger apologized to me, and it was about time.Â I mean, he shook my faith in the clear correlation between skilled golfing and moral virtue.Â How could someone so successful and rich do bad things?Â I was glad to see the news media all agree that Tiger’s apology was and continues to be the most newsworthy event on the planet.Â I would like them to dig deeper, to uncover the source of the virtue imparting powers of golf and why they failed so tragically in this case, so it won’t happen again.Â Haven’t our role model deprived children suffered enough?Â If he’d played pool or Frisbee or a mean pinball, his profligate sexuality would make sense.Â We all know what kind of degenerates those sports spawn.Â But golf?Â I just don’t know how I can live with the reality that a man who amassed a fortune largely on the basis of endorsing products that have nothing to do with him or his putter would have anything but the most admirable moral qualities.Â I’m shattered.Â Just a thought, Tiger.Â Maybe you could do one of those Hardee’s commercials, a big Buick with Cheater spray painted on the side, you gorging on jalapeÃ±o-laden meat? 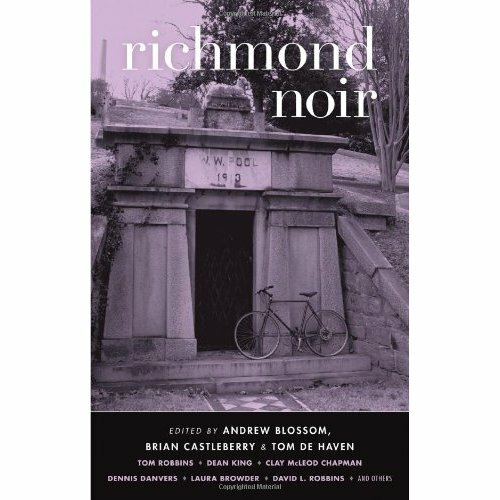 This Thursday, February 18th at 6:30 pm, Howard Owen, Dean King, Meagan Saunders, Anne Thomas Soffee, and I will read selections from Richmond Noir at Fountain Books, 1312 E. Cary.Â Even if I weren’t reading, I’d recommend this event.Â I’m particularly looking forward to Anne’s story.Â She’s a former student, a marvelous writer and reader, and hilariously funny.Â I can’t take credit for any of those skills, but I’m a fan anyway.Â Our esteemed editors Tom De Haven, Brian Castleberry, and Andrew Blossom will be thereâ€”among the best editors I’ve enjoyed working with.Â Their comments made my story significantly better.Â Please come.Â If you buy a book, we’ll all sign itâ€”that’s 8 signatures for the price of one! Tomorrow at noon I hope to see everyone brave the cold for the first Richmond Noir event at the Library of Virginia, 800 E. Broad Street.Â There’s parking, or if you don’t want to drive, tons of buses stop right out front.Â I’ll be reading with Meagan Saunders, Laura Browder, and Dean King.Â Trust me, folks, this will be a varied and interesting reading.Â Editors Tom De Haven, Andrew Blossom, and Brian Castleberry will also be on hand to answer your many noir questions.Â See you there! 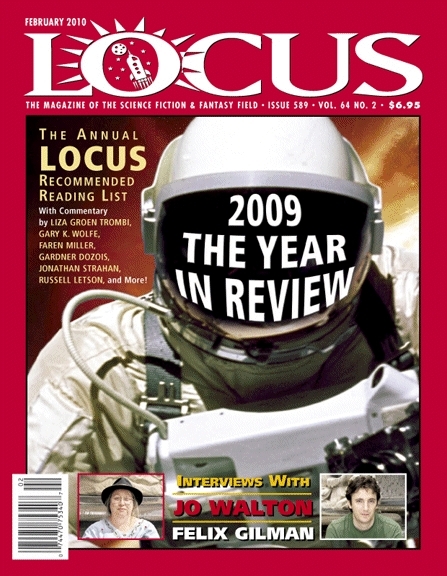 “Healing Benjamin” which appeared in Realms of Fantasy and Tails of Wonder has been included in the Locus Recommended Reading List for 2009. 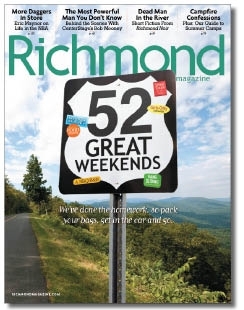 In other good news, my story in Richmond Noir, “Texas Beach,” will represent the collection in the March issue of Richmond Magazine.Â The editors of Richmond Noir have set up a slew of events to promote the book.Â Check here for a complete list and frequent updates.Â The first event will be Thursday February 11th at noon at the Virginia State Library.Â I’ll be reading with Laura Browder, Dean King, and Meagan Saunders.Â Able editors Tom De Haven, Brian Castleberry, and Andrew Blossom will also be there.Â The collection is terrific, by the way.Â I’m proud to be included.